Artspeak's Barney Google sold for $130,000 US ($168,000 CAD) at Lexington - 42x Stud Fee! "I purchased 8 Artspeaks at auction this fall. I find them all to be very willing with very great gaits and they show up ready to do their job every day. I was extremely impressed with their type, size and athleticism when I saw them at the various farms before purchasing them,"
"Artspeak is the best value in Ontario and I'm excited to see his first crop hit the big time in 2019,"
"Artspeak was one of the fastest horses I've ever had the privilege of training. He had an extremely high turn of speed, like driving a sports car. His foals have the same sharp look and I look forward to supporting his first crop heavily this fall at the upcoming auctions." 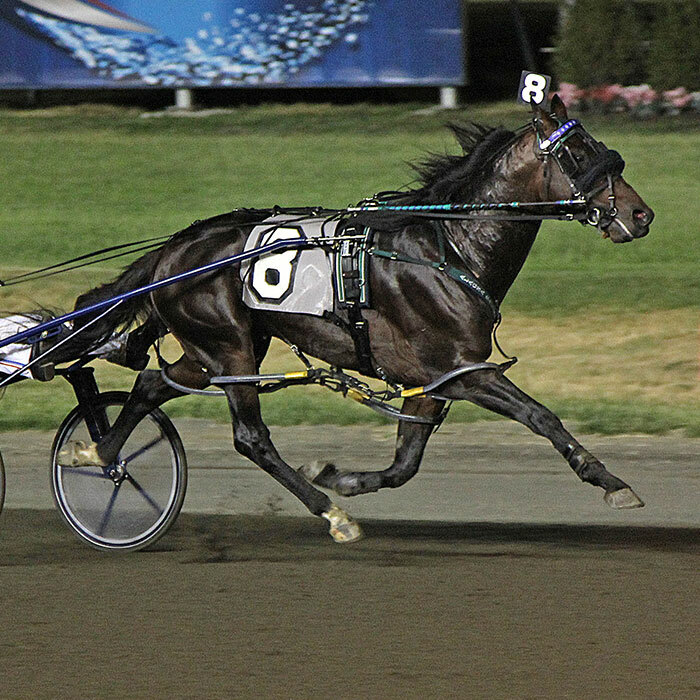 "Artspeak had a very big and efficient stride. He was a driver's dream with the ability to turn speed at the moment asked to. I look forward to driving his offspring! I liked Artspeak so much I bought the full-sister to him at Lexington this past year." Artspeak's oldest foals are now 2-year-olds.